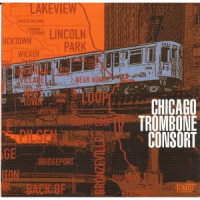 Chicago Trombone Consort CD , Amis Musical Circle: brass, woodwind, band, sheet music, etc. Artist(s): The Chicago Trombone Consort was founded in 2008 with the idea of bringing together the elite trombonists in one of the world's leading centers for brass playing. Highlighting a collection of some of the country's busiest orchestral performers, soloists and pedagogues, this debut recording by the CTC presents a varied repertoire. We hope you enjoy the Chicago sound!